Falling feijoas and I notice autumn has arrived. The Hurricanes scrum starts looking impressive and I know Asafo Aumua has arrived. Yes, he is light on big-game experience, but if Aumua isn’t tucking into an in-flight Teppanyaki Bento box en route to Japan for a particular rugby tournament later this year then I’m chucking in the Rugby analysis for needlecraft. 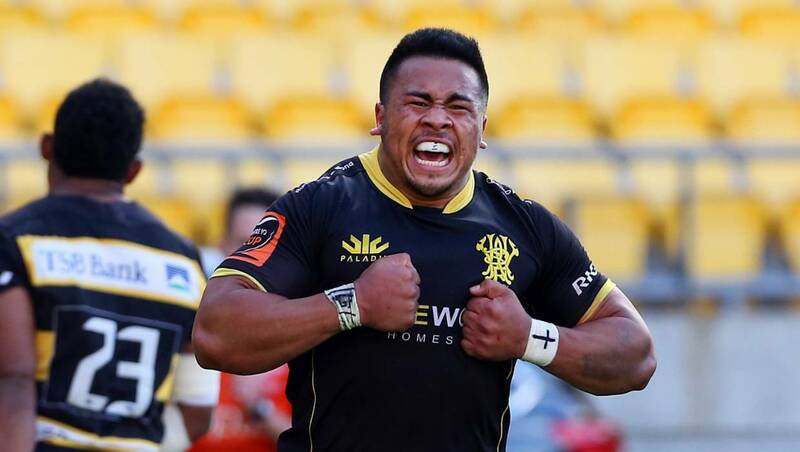 Is there any other player in Super Rugby with potential as scary as his? To give an over-used word I generally detest, ‘explosive’. As for the dark arts of front-row play, I’m as much if not more in the pitch dark about all the goings-on in there as you might be, but at any rate I’ll now try to advocate for Aumua’s potential inclusion in our 2019 World Cup squad. and that trying to halt him one-on-one near the tryline is about as difficult as getting Shane Jones to utter a normal-sounding sentence that doesn’t contain verbosity or pomposity. What is fast becoming increasingly noticeable in recent games though, is Aumua’s strength and imposition at scrum time. One thing that stood out in the Hurricanes-Crusaders match last week was the sudden go forward of the Canes’ scrum when Aumua came on. The advantage to watching this unfold being that several scrums did take place in close proximity to my seat. For the several scrums that then followed it was like watching a tractor ploughing a field which suddenly found an extra gear- the only problem being this advantage was constantly voided by the Hurricanes attack being afflicted with the ‘dropsies’. Although the uncompromising defence of the Crusaders was a stand out here also. Against the Highlanders on Friday, same result. The scrum steadied with Aumua’s introduction, and a good point was made to me by an observant pundit- it was from this kind of solid platform that the second-half try to Laumape was created, from Beauden Barrett running off front foot ball, stepping and splitting the Highlanders’ inside channel before an SBW-esque offload to Laumape, who did the rest with some style. And then in the final stanzas, with the Otago side hammering away on attack and more or less camped within the twenty-two metre area, the Hurricanes eight shoved the opponents clean off the ball- a very unusual feat for them this season. Any arguments that Aumua would ever usurp a fit Dane Coles this year would be absurd, but how fortunate the Canes are to have such a weapon to bring on. Not forgetting they also have Ricky Riccitelli, a very good player in his own right. Their hooking stocks are bursting. Imagine the potential chaos Aumua could wreak against one of the smaller nations at the Rugby World Cup. That would almost be unfair. Or how he could rise to the call if summoned from the pine against the Tier One sides should anything strike down Coles or Codie Taylor. Does he have the all-round game, or is it too early? If he happened to make the early All Black squads this season, was treated fairly and built up a trusting relationship with the coaches, with them importantly having his back (because, for whatever reason- and this will sound controversial-the ABs heirachy have a bit of an unfortunate recent history of appearing to be less patient with, and then casting aside of a few of the players of PI origin), there’s no reason Aumua couldn’t be chosen for the squad to Japan and be a stand-out at the Cup, even with limited game time. I have enough doubt that he won’t make the final cut for various reasons, but it would be neglectful not to give him very serious consideration, especially if he gets more minutes and continues on an upward path in Super Rugby this season. To be crystal clear re. the last paragraph: ‘…won’t make the final cut for various reasons’. This definitely does NOT include any reasons being ethnicity-related. Am not suggesting for a nanosecond that Aumua would ever miss out on going to the World Cup because of that factor…just to put the record absolutely straight.